Some warped thinking is taking this country to a bad place. It is okay to hoard this country’s resources and maintain poor conditions in third world countries. If ‘no management, locking up areas and eliminating access means big-fires, this is okay. Let populated areas control rural areas. Without changes, a lot of good things are going to disappear. Rural America has brought us practical, honest, patriotic, hardworking, family folks and they deserve better than they are getting. 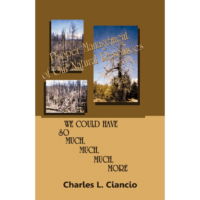 Chuck Ciancio believes that if we help Rural America, it will help us all. 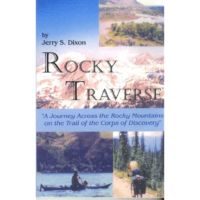 He says that the activities in Nevada between rancher Cliven Bundy and the Bureau of Land Management are a prime example of the conflict he predicts. However, the Bundy situation is not a good example of the bigger things. 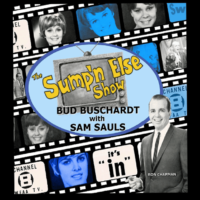 He urges us to not get caught up on what Bundy has said – study the whole situation. Once again the demands and decrees of the many are to outweigh the freedom and way of life of the few. Rural America, as predicted by Ciancio, is firmly under attack. A few generations of data-driven, quantitative-qualitative stockpiled data has replaced the tried and true practices of best-case scenario — learned and proven repeatedly by years of practiced application. Rampant Utilitarianism, hand in hand with rampant Liberalism, seeks to deprogram the work of a half century of knowledge that many have fought and died to achieve. 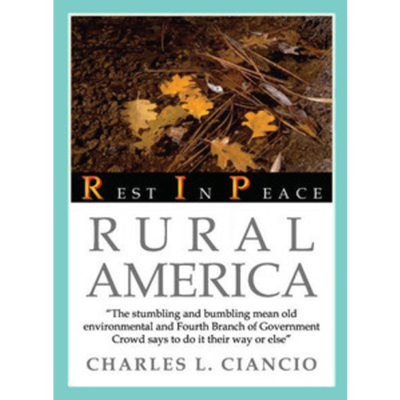 Chuck Ciancio has written an explosive work, “Rest in Peace, Rural America” is the manifesto of rural working people who built this country. Rise up Rural America and take back your birthright.